My Papa was an impeccable record keeper, which is why, I suppose, my mother, his daughter, inherited that same quality. Her printing is like perfection, as so was his, even in the midst of war in the Aleutian Islands. When he died he left behind some wonderful things, items that would teach us something about a time in his life that he was never able to verbally share with us himself. Some of those things were his Pilots Flight Log Books. 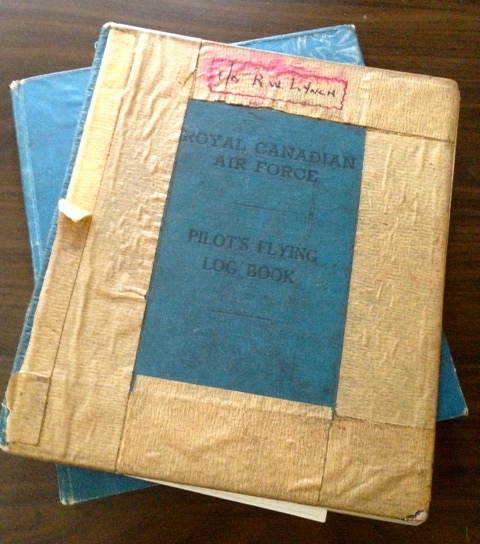 There in his briefcase, he had his original flight log book that went with him into the cold battles of WW2. The history that this irreplaceable book has is immense, if it could only speak to us all of the unwritten stories, imagine the things it would say. Also in that briefcase, a second Pilots Flight Log Book, this one was a copy of the original that he had re-written after the war. In this version, he added some mission details, photos, and memories and one thing he was sure to include were the names of fallen comrades and, in some cases, their photo. These books have been a great resource for me now since I refer back to them continuously to get accurate dates of his whereabouts as it refers to my research on the campaign. One of the other priceless documents included in his memorabilia were copies of correspondence letters between M.V. Bezeau, Captain Historian at the National Defense Headquarters of Canada, and himself. Mr. Bezeau had written my grandfather, as well as other airmen, asking them a range of questions, from strategies and tactics to living conditions during the war in Alaska. Many of the questions are the exact questions I would have asked myself. 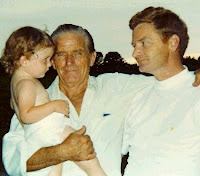 Living up to the meticulous man my Papa was, he answered each and every question with detail. Throughout the history of this blog, I will share those questions and responses. Later, Mr Bezeau went on to become the Director of Ceremonial and was responsible for tradition and heritage programs within the Canadian Armed Forces, speaking and writing a number of historical documents regarding the war in Alaska and the RCAF. He spoke in Alaska at the 50th Anniversary Symposium. He died in 2010. I can remember 15 years ago when we first discovered those treasures, I read and re-read those books and papers and studied those photos. Oh how I wish I could have spoken to him about his experiences. But since I was not able to, actually no one in my family ever got the chance, I guess these are the next best things. And as I do more research everyday, I become even more fascinated with the story of the Aleutian campaign. These are the words, which I have previously quoted but are very much worth re-stating, from the mouth, or fingers if you want to be literal, of my Papa to Mr. Bezeau at the National Defense Headquarters. These were his most sincere thoughts and feelings on the the Aleutian campaign. "In closing, I must say that my service in the 111th (F) Squadron is an experience I would not have missed. I feel that the Aleutian Campaign is a forgotten item in the history of the R.C.A.F. and I am happy and appreciative that you are doing something about it." I now know, that he was not alone in how he felt, many veterans from that battle, both Canadians and Americans, felt this same way. This is what drives me to continue forward on this journey. I ask that you share their story too. In the midst of my research about the war I delightfully came across this fascinating blog worth taking a look at. 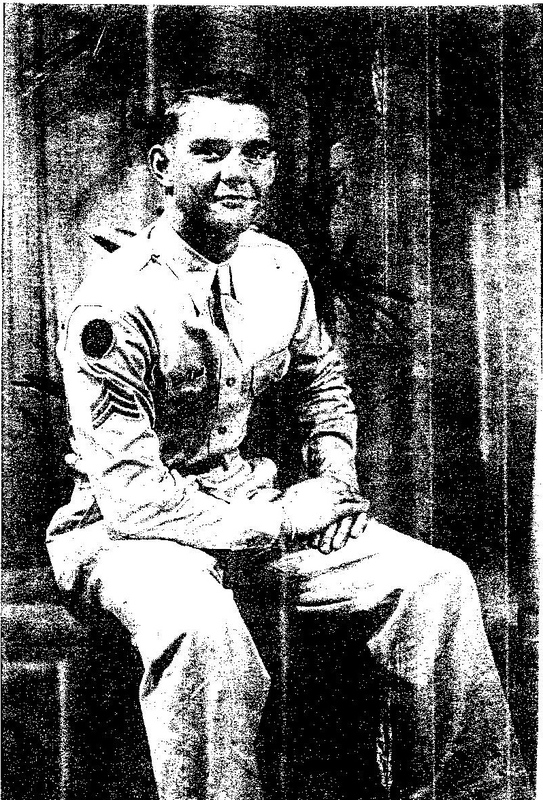 The granddaughter of Raymond Jones "Shorty" Gowen of the 30th Coastal Artillery in the Aleutian Islands, 1942-45, shares the personal letters written by a love bitten and homesick soldier, her grandfather, to a patiently waiting Texas country girl, Alice-her grandmother. The eloquently written letters give you a first hand account at what life was like while stationed in the Aleutian Islands in WW2. Loneliness and despair countered with resilience of spirit and patience were feelings that many of the soldiers shared deep down inside, even if they were not expressed outwardly. His writings left me to wonder why men were not like that in this day in age? Or is it just that war time made men more sentimental, the loneliness and fear of never knowing when and if you will return to your loved ones. That eloquence and innocence is missing from today's generation. I found this blog to be refreshing and it left me wanting to read more. Shorty Gowen was born June 29, 1918 in Alabama and years later the family moved to Sulpher Springs, Texas. He joined the army in 1942 and served 3 dedicated years. Like many, he never spoke of the war except to say it is where he learned to cook and sew. 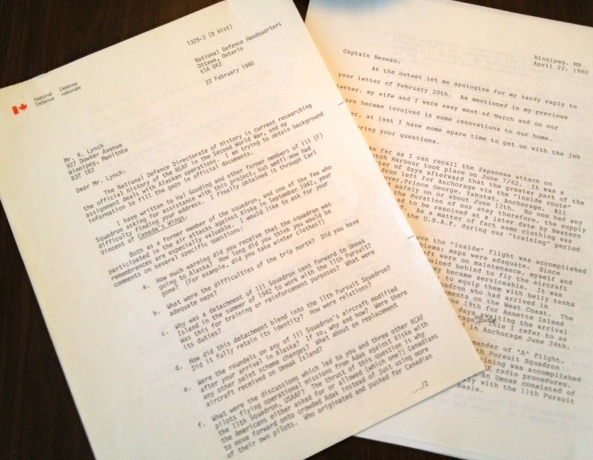 It wasn't until after he passed in 2004 that these priceless letters were discovered. 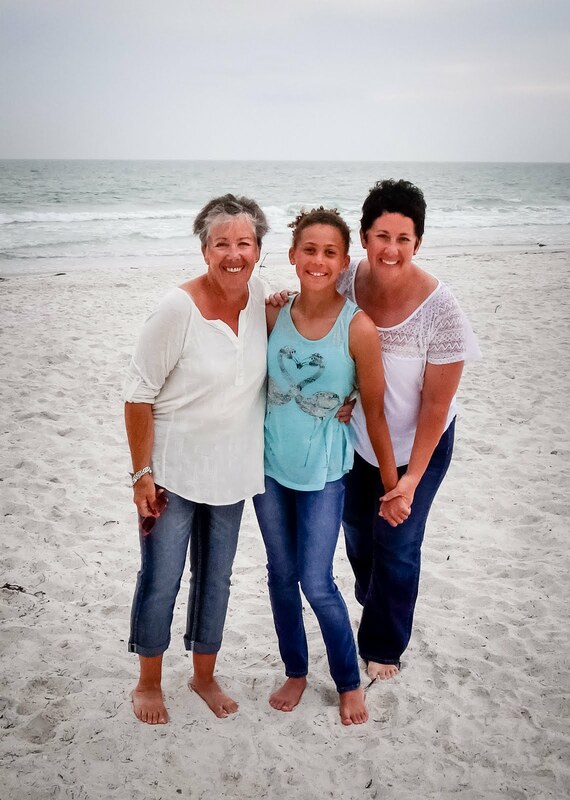 Thank you Jillian for sharing such a wonderful and intimate part of your families history. Many would say that I have been around, meaning, lived a lot of different places. I guess it depends what your definition of 'a lot' is. I was born in Winnipeg, Manitoba, a city of 600,000 in the center of Canada (above North Dakota and yes, it is C-O-L-D in the winter). In my late 20's I moved to the warmer and bigger city of Vancouver, B.C. (above Seattle, WA). Still in search of a hotter climate, after three years, I was on the move again, this time to the Caribbean island of Puerto Rico... now we're talking heat. Five years, one child and a new language later, I decided to return to the continent, to the suburbs of Tampa, Florida, only to find myself craving the ocean. I moved again to another tropical paradise, Anna Maria Island, 20 miles North of Sarasota, Florida and a 2 minute walk to the beach. So yea, I guess you could say that I have zig zagged the continent, experienced some things and have had to adapt, and adapt again to my surroundings. No fear, no regret, I enjoy learning the different ways in which places function. Even with all my experience I was still caught off guard when I started to plan our trip to Alaska. 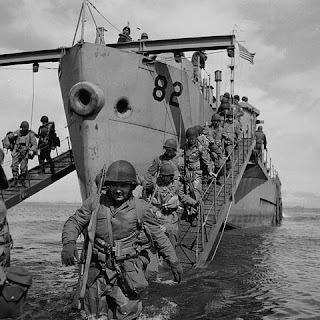 I naively thought we would go to Alaska and take ferries or cars to all the different places where my Papa was stationed in WW2: Umnak, Adak, Anchorage, Kodiak, Dutch. 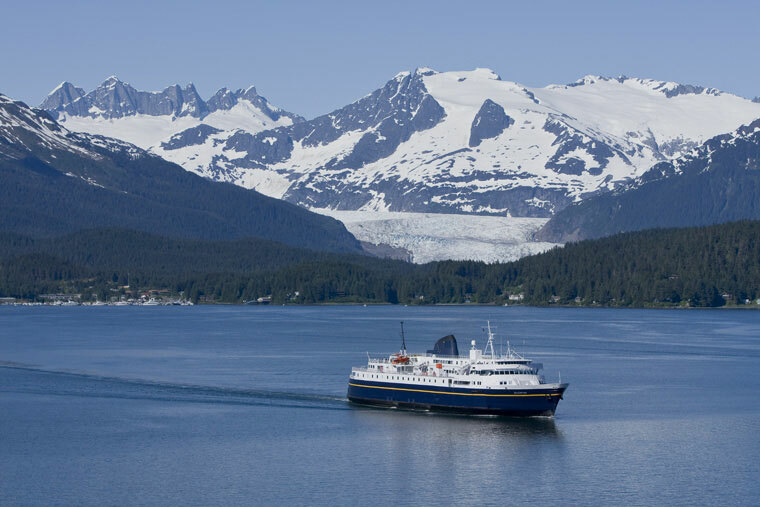 That is until I spoke with a local Alaskan, Joan, who let me know that just one of the routes I wanted to take via the Alaskan Marine Highway would take three and a half days!! She advised me to take a plane, which I hesitantly concurred. Although Joan does not know it, that was the moment that clicked within me, when I realized that I knew virtually nothing about how to get around in Alaska and it may be interesting to start blogging about this journey. From traveling there to the war history, there is so much to be discovered. What made our conversation even more noteworthy was that she also had a relative who fought as an Alaskan Ranger in the Aleutian Island campaign! Admittedly, I was not happy to hear about having to fly, you see, I have a slight fear of flying on those little planes. And to be honest, at this point in my planning, I am not even sure how 'little' the planes are on that route. My only point of reference is the Discovery Channel's- Flying Wild Alaska, and they use some small planes. Six seaters... yikes! And yes, I know that my fear is unjust, planes are safer than cars, which is what I had to keep telling myself this year as we flew right through the middle of Tropical Storm Debby into Tampa. Truth be told, that watching Flying Wild Alaska has actually helped boost my confidence level in regards to those small planes. It seems that those pilots, and I am now assuming all pilots, handle turbulent weather well without fear and with confidence. Almost like us non-pilots driving our cars. If they trust themselves and the planes they fly then I can survive on a little ol' plane too. That is my new mantra, repeat, repeat, repeat. Ok, first adaptation made. Pen Air- The Spirit of Alaska, one of the few airlines servicing Alaskan communities. The next reality check happened when I looked up the prices of the flights from Anchorage to Unalaska and to Adak. They were both around a thousand dollars each ticket, each destination. I guess I have to remember that the Aleutian Islands are so spread out, and it would be like flying from Tampa to New York City. Another interesting discovery is that flights to Adak only depart twice per week, 3 days apart. 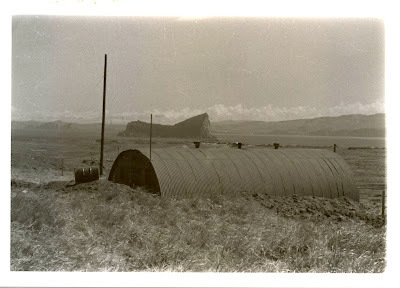 And although I have not written about Adak yet, know that the population is only about 326 people. So next adaptation needed: an increase in my initial budgeting forecast by... a lot and to plan for a fishing trip or two in Adak. So it's on, so much to learn, so much to explore, so much research to be done. Can you put a price on a mission of honor? Not in my books. Time to make my Papa proud, just like he made us when he defended our continent. It's true, there was actually a war fought right here on North American soil . The Japanese did bomb the continent. Lives were lost, many lives were lost, maybe not as many as in Germany but tell that to the family of a loved on who was fighting in Alaska in WW2. War is war. To be honest, I am not a fan of 'war', I mean who is really? I know there are people who are absolutely fascinated with war, and those people bring immeasurable value, and protection to our country. To me, the history of the war is what interests me. After all, wars have helped shape our society as we now know it. When my grandfather passed in 1996 and we discovered all his war memorabilia, it intrigued me. But then life got busy and I forgot all about it until a few months ago when my neighbor had asked me what kind of plane my grandfather flew in WW2. That lead me to countless hours, and still counting by the way, of research on the Aleutian campaign. It saddens me that the Aleutian campaign is known as the "The Forgotten War", that all those servicemen who endured the most treacherous conditions and sacrificed their lives for the immediate safety of our North America were not given the recognition they deserved. That historians and other war strategists at the time deemed the Japanese invasion as a minor and insignificant distraction. Again, war is war, people died, people suffered. The Aleutian Islands, where that war was fought, were so remote that it has been said, many of them felt abandoned by the county and that they were left up there to die. Suicide and mental breakdown rates were higher than any other war. They lived in tents or Quonsets huts in sub zero temperatures, supplies were hard to get due to their remoteness. Mail from home, their main source of joy, took months to arrive. Everything had to be shipped in on boat with limited supply space which took weeks or even months sometimes, depending on the weather which was seldomly good. Besides living conditions that were difficult, the flying conditions for the airmen was even worse. They had to brave long journeys over the rough Bering Sea, flying through the spontaneous thick Alaskan fog never knowing if a mountain was going to pop up out of the sky. The Aleutian campaign claimed the highest loss of aircraft due to weather related crashes with over 150 aircraft lost due to climate alone. The weather also was responsible for thousands of troops that suffered from frost bite related injuries, which to those of you who live in warm climates and are unfamiliar with the pain of frostbite, it can be so severe you can lose body parts. The number of servicemen lost in combat is still unclear at this point, the numbers are inconsistent depending on the sparse literature out there, but it is reported to have had the worst casualty rate since Hiroshima. If that is not war, I don't know what is. Now, can you imagine what would have happened if the Japanese were met with no defense and were allowed to take over Kiska, Attu or Dutch Harbor without a fight. Heck yea, they would have kept right on marching towards the mainland. Doesn't sound so insignificant to me. The North needed to be defended, and I am so thankful that those troops were there. 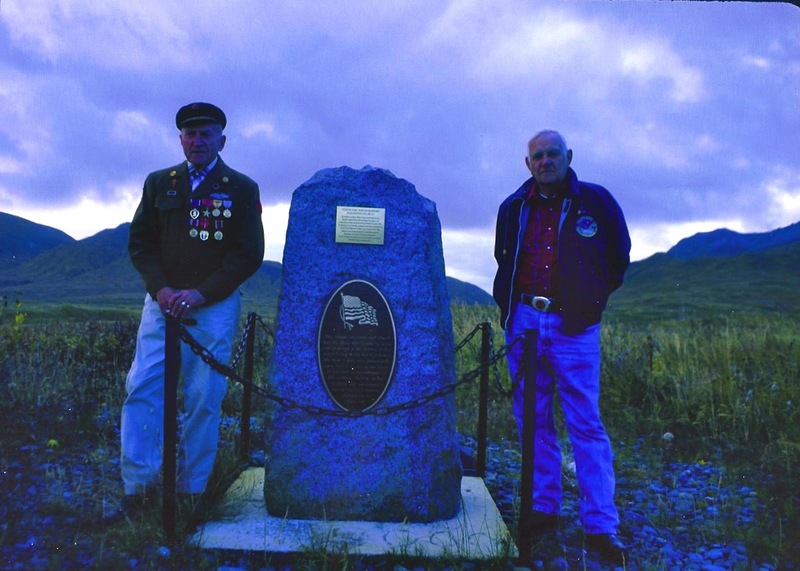 If you know of any Aleutian Island Veterans, either Canadian or American, I would like to honor them in the "In Memory" page. Please contact me for details and spread the word and share this site with your friends. I just had to start with this post because after speaking about this to several people recently I realized that most people do not even know where the Aleutian Islands are. The most common response I have gotten is- 'somewhere south, somewhere tropical'. Umm yea, not so much, let's try the complete opposite direction. Look up, way up North, to Alaska. The Aleutian Islands are a string of 14 volcanic islands (yes with a few that are currently active) plus many more smaller ones, that extend about 1,200 miles southwest off the Alaska Peninsula. They are surrounded, to the south, by the Pacific Ocean and, to the north, by the Bering Sea. They make up the most westward part of the United States. The Islands are very mountainous as they are a continuation of the Aleutian Range on the mainland, with peaks reaching 6,200 feet, some of which come up straight up from the sea creating a dramatic and beautiful rocky coastline. The Islands are almost free from trees and are covered with a dense growth of shrub like plants with costal areas covered in peat bog, wet spongy layers of decomposing vegetation. The islands are said to be one of the rainiest places in the United States with an average of 250 rainy days a year, which is more precipitation than rainy Seattle or Vancouver. They are under an almost constant fog with seasonal temperatures ranging from 30-52 degrees Fahrenheit. (Yikes, that is a little chilly for this former Canadian who now has some thin Florida blood.) 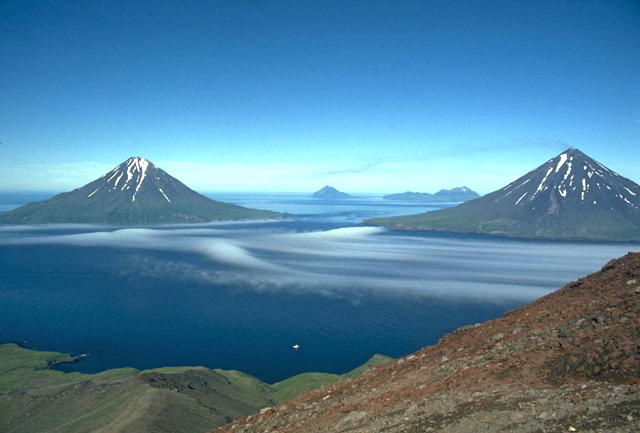 The Aleutians are known as the birthplace of the winds; the cradle of the storms. The climate in the chain can change in an instant with Williwaws, sudden gusts of strong winds descending from the cold snowy mountains to the sea, developing seemingly out of no where. The Islands are sparsely populated with only an estimated population of 8,100 people, half of which live in Unalaska (Dutch Harbor), AK, one of the largest Islands located on the eastern side of the chain. 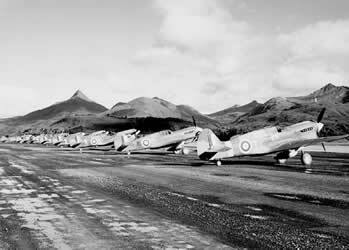 In World War 2, the beautiful and mysterious Aleutian Islands were invaded by the Japanese. 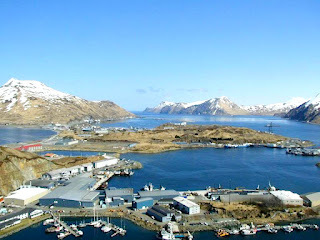 The first invasion took place in June 3rd, 1942 on Dutch Harbor and days later the Japanese went on to claim the two most westerly Islands of Kiska and Attu. My Grandfather was a fighter pilot and served in the Aleutian Campaign to rid the Islands of its forgein invaders and keep North America safe. This is how I came to know of the Aleutian Islands, Alaska, and I am now on a mission to know more, a lot more about this barren but magnificant part of North America!